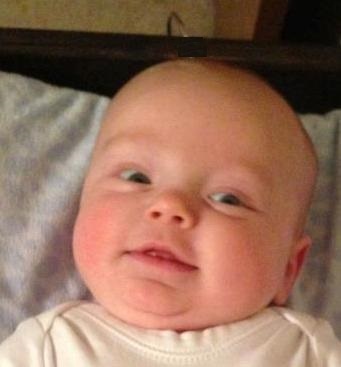 As a new grandpa I enjoy holding and playing with my grandson. Like nearly all grandparents I delight in both my grandson’s ever-expanding abilities while appreciating my son and daughter-in-law’s parenting challenges and joys. Last week they sent me a video of Jack’s new ability to roll over and I was dancing with joy as I watched. I fully embrace my new role as “papa”. I saw this photograph from a blogger in Ireland, Jacob Schriftman, and it immediately reminded me of one of my parenting joys: reading to children. Most parents in our society know the value of reading as well the intimacy of holding a child. One of my professors in seminary said that as parents we teach our children both the value of intellectual knowledge and emotional intimacy when we hold our child in our lap to read to them. There is something powerful and significant in this nightly ritual. And naturally there are all kinds of books to read to children. One of my favorites as a parent was to read Goodnight Moon and search for the mouse in each picture. Even though I grew tired of reading it, my children’s fascination kept me engaged. 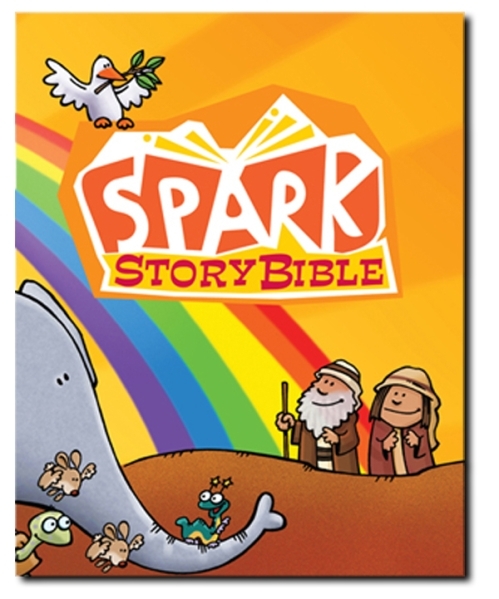 A member of my congregation stopped by my office the other day and said how much his five-year old son appreciates their family reading from the Spark Story Bible. His son was very upset when the family return from a trip and the Spark Story Bible could not be found right away. They had to do a thorough search for it prior to bedtime so that the story ritual could be restored. Perhaps they read the story of the lost coin in Luke 15 and the rejoicing that took place when the coin was found. I look forward to reading to my grandson in the years to come. It is one way that I can live out my calling to “love my neighbor” and to bear witness to Jesus Christ. At baptism, parents promise to place in the hands of their children the Holy Scripture and provide for their Christian instruction. I think grandparents can play a big part in that promise as well. Lord Jesus, may your Word become the joy of our hearts. This entry was posted in Baptism, Bible, Uncategorized and tagged Goodnight Moon, Grandparent, Parable of the Lost Coin, Reading on April 10, 2013 by Pastor John Keller.